Credit Karma offers free credit scores to consumers with no strings attached. It is a truly free service: There's nothing to cancel and they don't ask for your credit card number. The sign up process is painless. I was able to receive my free score in less than two minutes. Credit Karma provides you with special offers based on your credit score. For example, you can get a lower interest rate on credit cards. You may also apply for offers from cable companies and other businesses. There are no annoying pop-up ads and Credit Karma claims it will not sell your information to anyone. The ads are not a bad trade for a free credit score. In comparison, FICO's official credit score monitoring service costs $14.95 a month. If you're not familiar with how credit scores work, the raw numbers might not be very helpful. This is where Credit Karma's comparison charts come in handy. You can check your credit score for free as many times as you want. Credit Karma will keep track of your scores over time, which can help you identify overall trends in your credit score. You have to verify your identity by providing your address, phone number, and social security number. In order to verify your identity with TransUnion, Credit Karma requires standard personal information that anyone would need to access your credit report, including your address, date of birth, and social security number. Since they realize that providing such confidential information may make some people uneasy, they’ve put many security measures in place to ensure your safety. Does checking my score negatively affect my credit? Checking your score with Credit Karma won’t lower your score. Since they’re making the credit score request on your behalf, these inquiries aren’t shown to creditors and don’t affect your credit at all. How can this be free? Are they going to sell you anything? Credit Karma is ad-supported. However, they’re not the pop-up ads that you might be picturing. Instead, Credit Karma provides targeted offers they think might be helpful to you based on your current financial situation. You’re not obligated to take advantage of these offers to continue using Credit Karma, and can even opt-out of receiving email offers. Is this my FICO score? The scores Credit Karma provide are real scores straight from TransUnion. However, they are not FICO scores. Because you have so many different scores (there dozens of FICO scores alone! ), the type of score, or even the number you get isn’t that important—what matters is the changes that you observe over time in a single score, and where that number puts you in relation to other consumers. 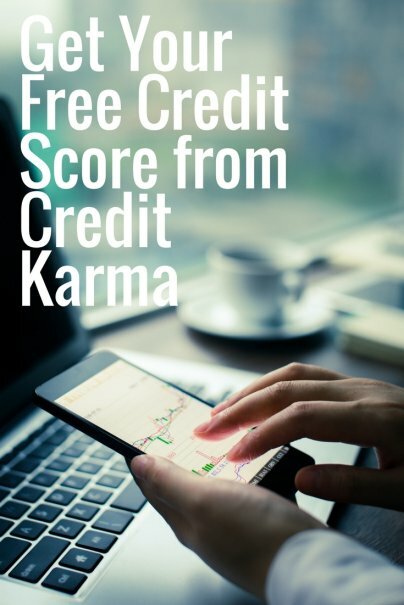 You can learn more about the scores Credit Karma provides here. Can I trust the people behind Credit Karma? Yes. Credit Karma is an honest company whose mission is simply to provide financial information and tools to everyone free of charge. They’ve provided scores to millions of members and are continually growing and improving its service. 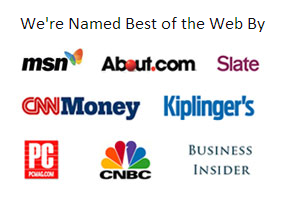 They have an A rating from the BBB, are certified by TRUSTe, and have been featured on The Wall Street Journal, USA Today, CNN, and a multitude of other sites. Are there other ways to get free credit scores? Discussions about Credit Karma at Slickdeals and FatWallet. Nora's comprehensive guide to applying for and managing your credit. Click here to sign up at Credit Karma now! I'm game. I just signed up for the 30-day free trial of the FICO credit monitoring so that I could see my score for free. (But I'm secretly shaking that I may forget to cancel before the hefty $89 fee is imposed.) This sounds like a much better deal. I tried signing up for this morning and the process was simple and painless enough. Much better than giving more money to FICo, etc. I have a fraud alert placed on my account from an earlier incident so it wouldn't get my score for me. I plan on trying it out in a few months when I get the fraud alert removed. So far they have no way of reinstating access for those who previously had fraud alerts. Their FAQs seem to indicate otherwise but I was told that removal from their system was "permanent" once you placed a fraud alert (they claim to be coming up with a workaround but who knows when or if it will happen). I check my actual fico's ever 3 months and it's never been that close to them (via myfico.com), I check fake fico scores every month with credit keeper, that also doesn't bear much of a resemblence to the credit karma score. I signed up from the FICO website and checked it against my Karma score. The same. Maybe Karma doesn't show "real time" but it has to be pretty close. Thanks for the tip! My credit score is a lot better than I thought it would be considering I haven't had a credit card yet. Under federal law you are entitled to receive a free copy of your credit report once every 12 months. You can visit http://www.AnnualCreditReport.com to order your free credit report. There are other websites also, but most of the providers require sign up for the services like Identity theft protection, Credit monitor etc. Users must remember to cancel these services before the trial period ends. You can also visit http://www.GetUrScore.com, this website provides the links to different providers of Free Credit Reports and Credit Scores and also gives the comparisons on offers from different providers. The free scores on the Washington Mutual credit card website are being discontinued. Effective March 2009, they will no longer be available. Thank you for your sharing, This information is very helpful. Wamucards has been discontinued and becoming CHASE. All customer have to moved to login on Chase website. My website will review this situation. Using these three you can get a very good idea about your current credit standing. I just pulled the score from My Fico and got a 793. 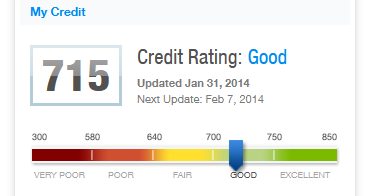 (I'm shopping for a loan) Credit Karma list my score as 791 wow impressive. Only two points off. I have been using Credit Karma for 2 years or so now. I live in Canada but like to be able to monitor my American accounts and debt for free. It has been nice to see my score go up to 788. The graphs are nice and the info it gives you on what open credit you have and how much debt you on each card is very good. It's a nice and easy to read credit report for those other 11 months between free credit reports. I followed the link onto your site because I live in Ontario and was trying to sign up for Credit Karma for free. When I tried to sign up, I noticed there was not a Canadian option. For many years I have been a member of Credit Alert, which charges $20/month. But $$ are a struggle for me and I was hoping to find an alternative...??? If you want access to your FICO score, you can get a Discover IT card or a walmart card. They both allow you to access your real FICO score, although they only update it once a month. It's totally free though!